On Saturday 13th February 2016, we had our annual Chinese New Year dinner at the Tai Pan Buffet restaurant on Hanover Street in Liverpool. 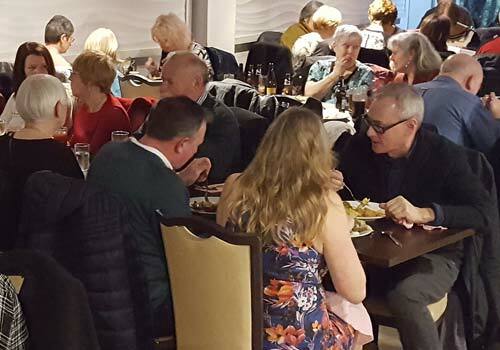 With a wonderful selection of food which at times felt like we were simply spoilt for choice, we all had a splendid time chatting, drinking and eating. We tried to take as many photos on the night of everybody, but with everyone wondering about making food art with the buffet system, it was a difficult task. So we will apologise if we have failed to feature you in any of our photos in our gallery that has been uploaded to Facebook. We hope you all had a fabulous time and hopefully will see you all again next year!